Enzan: I know how hard it must be to be recruit at this time, so I got something that could help you! Well, I don't have it, but my brother does! 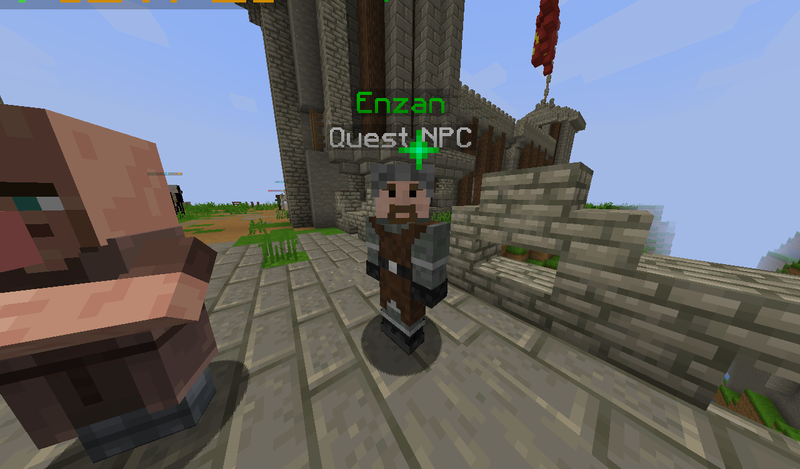 Enzan: Follow this road, he's at the entrance of the Nivla Forest, you can't miss him. Therck: Take this note. Bring it to the merchant right behind you. Therck: He owes me some favors. So, he will exchange it for a magical powder of your choice. Therck: So... eh, you can't miss him. You're probably headed through the Nivla Forest now, aren't you? Therck: It's a bit dangerous, but the big city of Detlas is past there, so good luck going through!